2012 A3 TDI models cost a few grand more, but they also tend to keep their value a bit better than the gasoline versions. 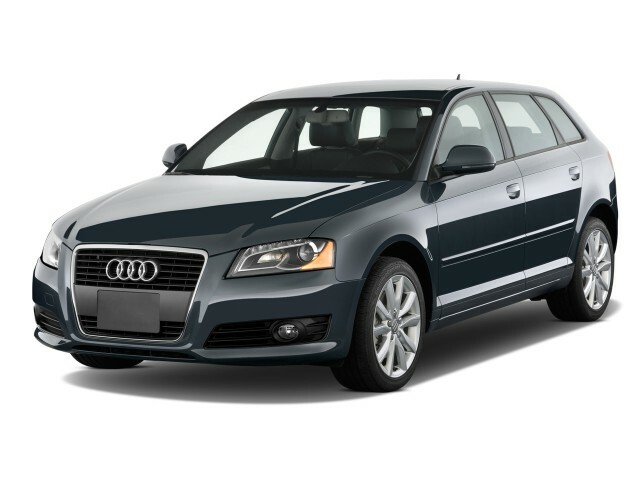 The fashionable, versatile 2012 Audi A3 is as deft for the city commute as it is at ease on the highway. As Audi's entry model for the U.S. market, the Audi A3 pairs a practical hatchback body style with finely drawn lines and an interior that feels fashionable enough for the Audi badge. Yet it costs only a few thousand more than a number of comparable mainstream-brand vehicles. Audi's sleek A3 doesn't look much different than when it first made its U.S. debut for 2006; yet it still looks quite fresh and contemporary from the outside. Inside, it's beginning to look a bit dated, mainly because most of the other Audi models have been recently refreshed and taken a new design direction, especially with respect to interior trim. Drivers can choose from two different engines on the A3, and while their power figures are quite different, their performance is remarkably similar. A 140-hp, 2.0-liter turbodiesel inline-4 is narrowly our editors' favorite, because it churns out loads of low-rpm torque, making highway trips a breeze, but the the 200-hp, 2.0-liter gas turbo-4 feels very eager and doesn't need to be revved high either to tap into the torque. 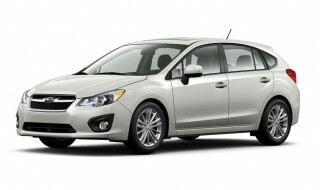 In both, the dual-clutch transmission doesn't cut into the driving fun, the way conventional automatics can. All-wheel drive isn't available in turbodiesels or on cars fitted with the manual transmission, so much of the A3 lineup is front-wheel drive. Savvy commuters will probably find the TDI model's 42-mpg highway fuel economy irresistible. The A3 has steering that's pretty light, but it has good roadholding and a refined driving feel overall. We recommend Audi's magnetic ride system, as it improves ride, handling, and the entire experience. In any case, the A3 hits a sweet spot in both maneuverability and quick response, yet relaxed highway cruising, so it's as well-suited to the open road as it is for urban commuting. Compared to any other vehicles approaching $30k, the A3 has a well-organized, exquisitely trimmed interiors. 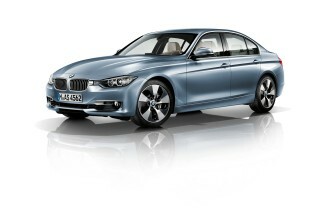 Tailored leather seats yield a low driving position, and could use more bolstering. The back seat is just okay. Two adults will be fine back there, as long as those in front are willing to give up an inch or two of legroom. One of our only complaints-and one you'll need to listen for on the test drive-is that road coarseness can sound into the cabin, and the ride with the standard suspension can be harsh over Rust Belt potholes. The A3's standard features-and especially its options-are also what help distinguish it from sporty mainstream entries like the Mazda 3 or Subaru WRX. Power features, automatic climate control, leather, keyless entry, and a 140-watt, 10-speaker audio system come standard. Premium Plus cars get a power driver's seat, steering-wheel audio controls, and ambient LED lighting, with options for premium sound, navigation, and USB/iPod connectivity. Bluetooth isn't free on the A3: it's part of a $2,000 package. The A3's impressively true to Audi's spartan styling language. The Audi A3 blends the styling of a hatchback with the more elongated look of a wagon, and although that may suggest it looks a little award, nothing could be further from the truth. The A3 should sit well with anyone who enjoys clean German design, and in particular Volkswagen Golf fans looking to upgrade to something a little more premium. Audi added some sportiness to the A3 in 2010 by making some of the previously optional S line package standard. Items like the roof spoiler, reskinned bumpers and aluminum trim make the A3 a lot more macho-looking than some of its rivals. There's no denying that the A3 is starting to show its age after being on the market for so long, but a successor is planned for 2013 so some buyers may want to resist buying the current car. The interior of the A3 is a very nice place to be, with round, chrome-trimmed air-conditioner vents and well laid out buttons all adding to the cool German factor. The cockpit may seem to be well-aged at this point, but in its price class it still looks well-fitted and refined. The A3 isn't thrilling but it is a well-balanced performer. 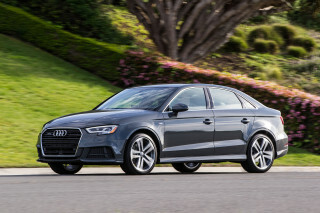 There are two different engines to choose from when buying the 2012 Audi A3, one of them diesel. 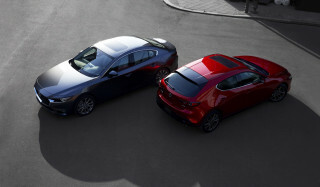 Both are 2.0-liter four-cylinder units that are turbocharged, however, the diesel is the much more fuel efficient option. The base unit is the gasoline one. It's rated at 200 horsepower and 207 pound-feet of torque, and will accelerate the A3 from 0-60 mph in 7.1 seconds with the standard six-speed manual transmission. Opt for the six-speed dual-clutch gearbox, or 'S tronic' in Audi-speak, and you'll see that acceleration figure drop to 6.9 seconds. For even faster acceleration you'll need to opt for the quattro all-wheel drive, which together with the S tronic gearbox will see your 0-60 times drop to a brief 6.7 seconds. The TDI turbodiesel is the slower option but with the 0-60 time taking less than 9 seconds it's still faster than some rivals. Where the TDI really shines is its strong torque, which peaks at 236 pound-feet at just 1,750 rpm. This translates into strong off-the-line performance, which counts more in the real world. Note, the diesel is only offered with the S tronic gearbox. The S tronic is worth a mention on its own. It can be fully automatic or manually-operated and it's more fuel efficient than a conventional manual. It also shifts very quickly and decisively. The Audi A3 driving experience is a joy in most respects: light, direct, and refined. Audi's magnetic ride system is available on the A3. The adaptive-action shock absorber control system uses voltage to electrify a magneto-rheological fluid in the shocks to change their response within milliseconds, allowing the suspension to quickly change character from soft to firm, depending on driving or road conditions. You have the choice between Normal and Sport programs, which can be toggled with the flip of a switch. The electric power steering system doesn't wind and unwind quite like a traditional hydraulic system would, though it provides the A3 with good maneuverability and a combination of crisp response at low speed and good stability on the highway. The A3 splits the quality difference between luxury cars and budget sedans. Audi is a leader when it comes to quality interiors and its A3, despite being on the lowest rung of the automaker's U.S. lineup, has none of the signs of cost cutting that some rivals are guilty of with their entry-level offerings. The buttons are all well laid-out and exquisitely crafted and the materials have a premium look and feel to them. The standard leather-trimmed seats are very comfortable, though some may find they lack side sufficient side support. You also sit very low in the A3, which can make getting in and out a bit tough for older drivers, but the plus side is that you have great visibility out front. There's no denying that cabin space in this five-seater is tight. For the segment, rear-seat accommodations are just acceptable, allowing you to squeeze a pair of adults in there--provided the passengers in front don't mind scooting forward an inch or two. Storage space in the trunk is also disappointing. The hatchback provides 19.5 cubic feet of storage when the rear seats are up, but fold these down using the 60/40-split and you have a nearly flat storage space that expands to 39 cubic feet. While cabin ambiance is generally nice in the A3, road noise--and the thrum of the rather low-profile tires--can be intrusive on coarse surfaces, and ride quality with the standard suspension can be somewhat stiff. Crash-test scores have been excellent in the A3. If you're in the market for a small car and vehicle safety is a priority for you, then the 2012 Audi A3 should be high on your list of cars to test drive. It comes generously equipped with most of the latest safety gear as standard, including stability control, anti-lock brakes, front-seat side-impact, full-length head-curtain airbags, and rear side-thorax bags. There are also three-point safety belts with pretensioners, a hill hold assist to prevent your vehicle from rolling backwards when you left of the brakes, and even pinch protection for passenger compartment windows. We recommend opting for the added traction of the quattro all-wheel drive system if you live in an area where winter driving requires you to change your tires. The federal government's National Highway Traffic Safety Administration (NHTSA) hasn't tested the 2012 A3 though the Insurance Institute for Highway Safety (IIHS) has, finding it to score the highest rating of 'good' in its frontal offset, side, and roof impact crash tests. Adding big options can raise the A3's price big-time. At the end of the day the A3 is a luxury car, and when it comes to luxury you usually have to pay extra for features. That said, the A3 comes reasonably well-equipped for its segment but if you want some niceties be prepared to pay for them. The good news is that even in base 'Premium' trim you get 17-inch alloy wheels, daytime running lights, sportier S line body trim, a leather-wrapped steering wheel, leather upholstery on the seats, a 10-speaker (yes, 10 speakers!) stereo, and dual zone climate control. Pay a little more for the 'Premium Plus' and you get Audi's funky LED detailed headlamps with bright xenon bulbs. You also get an ambient lighting package for the cabin, controls for the audio volume, Bluetooth phone and audio seek functions on the steering wheel, and a powered driver's seat. The downside is that several tech features that are increasingly included as standard on much more affordable cars-like a Bluetooth hands-free interface-remain optional on the A3. Bluetooth is offered as part of a $600 Bluetooth Value Package (that doesn't seem like value to us) on the base A3, though as mentioned above it's included as standard in Premium Plus models. 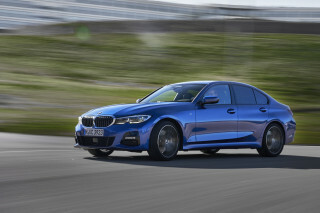 But otherwise the options list is very long, including a Sport Package that's more than appearance (it also includes a sport suspension) and an open-sky sunroof. But on top Premium Plus models, you can quickly load the A3 up past the $40k mark. If you can afford it, we recommend getting the high-end Bose sound system as well as navigation and the iPod integration kit. The 2012 Audi A3 TDI is a very green pick, with one of the highest fuel-economy ratings of any luxury-brand vehicle. Both engine options in the 2012 Audi A3 are fuel efficient but when it comes to mileage supremacy, the 2.0-liter TDI diesel is the way to go. The diesel-powered A3 will get you an EPA-rated mileage of 30/42 mpg city/highway or 34 mpg combined, which is comparable to some hybrid models. In real world testing our editors have seen more than 45 mpg in long-haul interstate cruising and even low 30s in stop-and-go situations. 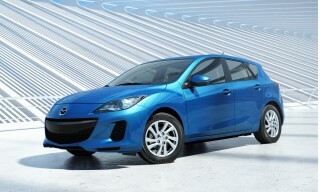 If you have to live with gasoline the regular 2.0-liter engine will still impress you with its economy. In its most fuel efficient front-wheel drive setting with the S tronic gearbox, you’ll get 22/28 mpg city/highway or 24 mpg combined. Opting for the quattro all-wheel drive will only see your city mileage drop 1 mpg so we recommend you add this feature for its extra safety and performance.